Tiffany & Co. Sunglasses . Excellent condition only worn a couple of times, from a pet free non smoking home. Dispatched with Royal Mail 2nd Class. Women's Black cat eye Sunglasses. Condition is Used. Dispatched with Royal Mail 2nd Class. 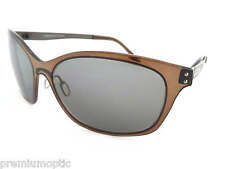 Ralph lauren ladies sunglasses RA5059 648/14 130 2N. Condition is Used. Dispatched with Royal Mail 1st Class. Ralph Lauren cleaning cloth never used / taken out of bag. 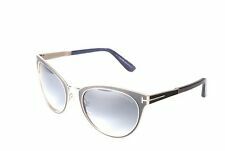 Tiffany Cat Eye Sunglasses. Condition is Used but great condition - they have been looked after impeccably! The bag they come in looks a little used due to I always kept them in there when in my bag so they didn't scratch. The case is quite big to carry them around in. They come with the case and original box etc. They look lush on and really classy. Bought from Selfridges for £269 originally. The postage says tracked but I'll send them signed-for so they will be on a next day service. 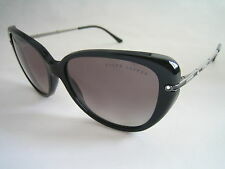 Genuine Ralph Lauren ladies sunglasses. Model - Sara 7833. Serengeti Sara Sunglasses. Lens - Drivers Photochromic/ Polarized. Spring Hinged - No. Unisex Purple Sungri Cat-Eye Sunglasses with Small Gold Lily Crests. Brand New! On each arm there is a small gold coloured lily crest on the outside near the ends. They have UVA &UVB protection. mirrored cat-eye sunglasses with small lily crest detailing. For sale is a pair of unisex. Model - Sara 7832. Serengeti Sara Sunglasses. Lens - CPG Grey Photochromic/ Polarized. Spring Hinged - No. The left side has the smallest mark on the lens, I’ve tried to picture it but it’s so small it’s not very visible! 😎Tiffany & Co Sunglasses 😎. 🕶 Tiffany & Co embossed on arms and one lense. 🕶 Quality as expected from Tiffany. 🕶 Tiffany hard case provided (signs of wear on inside and outside). 🕶 En trend sunglasses. Sunglasses, Sunglasses Case, Cleaning Cloth and Care Instructions all Included. Nose Bridge Width = 18mm. We aim to do this quickly and efficiently; and will strive to resolve the matter without hesitation. Genuine Ralph Lauren Ladies Sunglasses. Condition is Used but still in very good condition. Brown tortoiseshell with brown lenses. Ralph markings on the arm and lens. Markings on the inside 7518/S 9D5 S2 56 18. Comes with original case. Thanks for looking, happy bidding. RRP - £350. Made in Italy. 100% AUTHENTIC. ralph lauren sunglasses for ladies brand new . Dispatched with Royal Mail 1st Class.